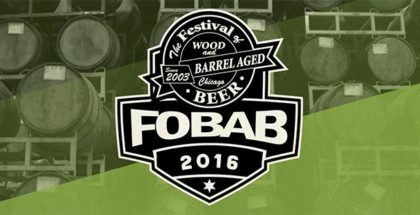 Once the Illinois Craft Beer Guild (ICBG) event that effectively served as the closing ceremonies to Chicago Craft Beer Week (CCBW), the festival held at Welles Park in Lincoln Square now enjoys the title of Summer Beer Fest. On August 5th, fans can drink beer, gaze upon the large gazebo, listen to live music and purchase food. We chatted with Danielle D’Alessandro, president of the Guild, to talk Welles Fest, clean water and all things Illinois beer. Early Entry: 12:00 PM for ImBIBE members & #DrinkIllinois Summer Passport Holders with more than 20 stickers – see illinoiscraftbeer.org/passport for more details. The General Admission experience includes craft beer, 3 hours of entertainment and food for purchase. Designated drivers or non-beer drinkers CAN access the fest without a ticket. We reserve the right to remove anyone found sharing beer. Dogs are also welcome as long as they’re leashed. 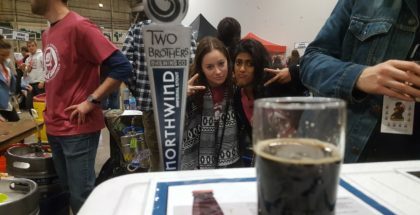 The move to from spring to summer alleviated the issues attached to CCBW, notably hosting “two festivals in two locations involving more than 100 breweries with over 3,000-3,500 people in 11 days.” said Danielle. But, as Danielle explained, moving the festival at Welles is more than just a problem solver: “We can also now say that we have a summer fest! Do We Even Need to Have Festivals Anymore? 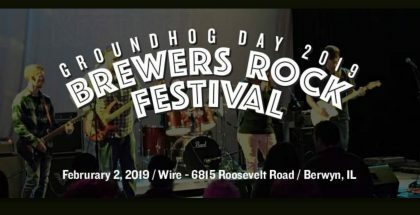 “Festivals that are hosted and organized by the Guild serve as fundraisers to help raise money to support our legislative efforts, provide educational opportunities for our members, and promote craft beer to the general public. 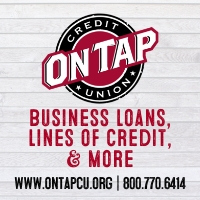 We are also beginning to look at our events as a way to engage consumers to sign-up for our grassroots campaign effort when we are advocating in Springfield on behalf of our local craft brewers,” said Danielle. One grassroots program involves something near and dear to all beer fans — clean water. In fact, the move to protect our nation’s water has increasingly become a point of emphasis among breweries, in Illinois and nationwide. 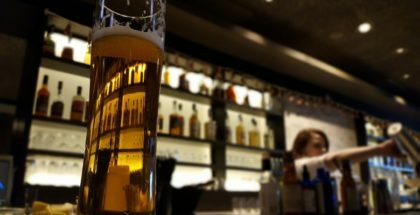 Many Chicago breweries have joined the National Resources Defense Council’s Brewers for Clean Water initiative, and also composed a letter to the EPA imploring them to continue the clean water programs that existed before President Trump took office. Have you ever traversed the East Coast from New York City to Virginia Beach? 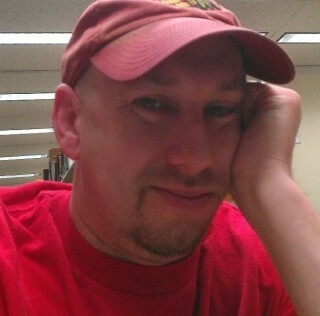 If you have, congrats — you traveled a distance that’s 30 miles SHORTER than the length of Illinois. Can you imagine trying to manage a group of breweries existing within a state 390 miles long? Can you imagine trying to invite them all to one fest? Hand of Fate Brewing, located roughly 25 miles north of Springfield, will be at Welles, but what about others? It’s one of the many progressive changes that have occurred under the direction of Danielle and her crew, who are just about to celebrate one year at the helm. So, what has Danielle taken from her first year as President? Illinois, a state with two former governors recently sent to prison, hasn’t operated under a budget for three years. So, how does the Guild fight for breweries in this tumultuous political climate? If Winterfest is anything like last year, you can wear the tank again in February!